Anything to do with chocolate has our immediate attention and Aubree Chocolaterie is all about that cocoa goodness. 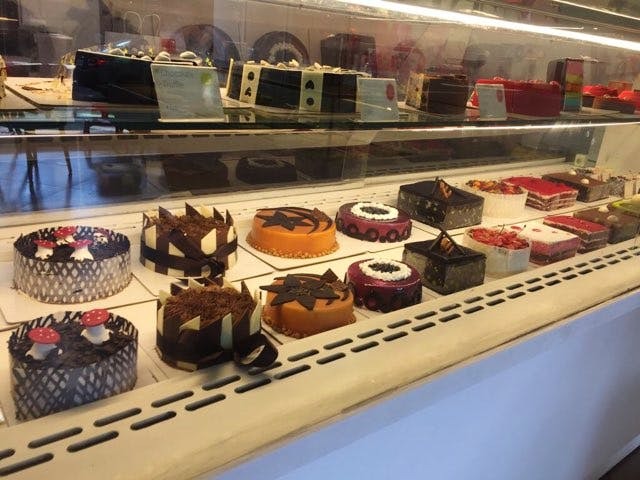 With a delectable collection of chocolates, truffles and other sweet bites, we were drooling all over their refrigerated pastry display case. And they make gorgeous cakes too. They've got every occasion covered. Birthdays, weddings, last minute impromptu Mother's Day cake, these guys have got you sorted with delish flavoured cakes like Chocohazelnut and Irish Coffee. What's more? These guys do themed cakes as well. You can order these babies online as well. You can also place an online order for a completely customised cake on their website. You get to choose everything from the flavour to its shape and weight.